In June 2010, my wife Kinna was admitted to the hospital with a ruptured bowel. She spent 11 days in the hospital, and when she was released, spent another 14 days attached to IV antibiotics at home. This actually started us on a journey that has changed our lives. Kinna has had Rheumatoid Arthritis since the age of 26. In addition to that, she also has Fibromyalgia and Osteo Arthritis. For many years she was prescribed anti inflammatory medicines for the inflammation and pain associated with her disease. For several years she had to use the assistance of a cane to walk. Light therapy is one of the oldest therapeutic methods used by humans (historically as solar therapy by Egyptians, later as UV therapy for which Nils Finsen won the Nobel Prize in 1904. 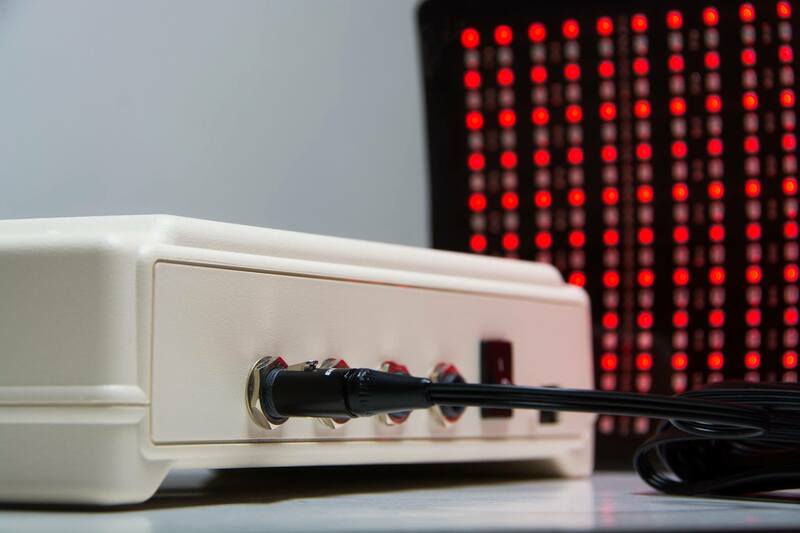 The use of lasers and LEDs as light sources was the next step in the technological development of light therapy, which is now applied to many thousands of people worldwide each day. In LLLT, the question is no longer whether light has biological effects, but rather how energy from therapeutic lasers and LEDs work at the cellular level, and what are the optimal light parameters for different uses of these light sources. 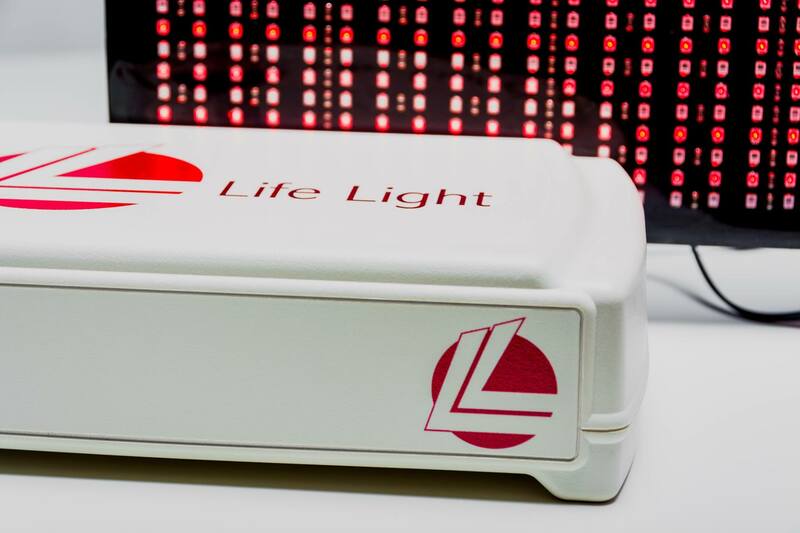 The Life Light device has been 6 years in development. It has gone through 3 prototypes phases and is now in 3rd generation production phase. The use of low levels of visible or near-infrared (NIR) light for reducing pain, inflammation, and edema; for promoting healing of wounds, deeper tissues, and nerves; and for preventing tissue damage has been known for many years. Originally this was thought to be isolated to only laser light (soft or cold lasers). Today and for several years now that has broadened to include photobiomodulation and photobiostimulation using non-coherent light (LEDs). The Mitochondria are thought to be the likely site for the initial effects of light, which leads to increased ATP production, modulation of reactive oxygen species, and induction of transcription factors. These effects in turn lead to increased cell proliferation and migration (particularly by fibroblasts), modulation in levels of cytokines, growth factors and inflammatory mediators, and increased tissue oxygenation. The results of the biochemical and cellular changes in animals and people when using LLLT therapy include such benefits as increased healing of chronic wounds, improvements in sports injuries and carpal tunnel syndrome, pain reduction in arthritis and neuropathies, and amelioration of damage after heart attacks, stroke, nerve injury, retinal toxicity, and much more. Patient with severe post concussion symptoms from a motor vehicle accident suffered from nausea, multiple headaches daily, and blurry vision. I used the Life Light machine on her, headaches disappeared, nausea is gone. I am very impressed.